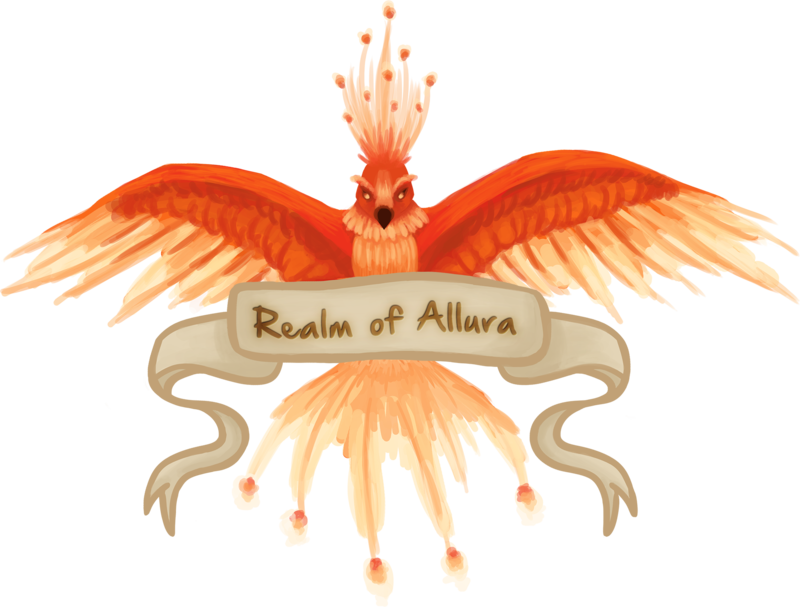 The realm of Allura is home to many races and nations of sentient intelligent beings, but besides that nobody talks about the wildlife. Over time, players have introduced rather specific species into lore and these creatures will be documented here. Species not included in lore can also be included here. If your nation has a unique species, feel free to write an entry, however, something more common (Like dragons, or other commonly known fantasy creatures) needs to be a unique specific version of it (e.g. Roklavian sparrow, black drake, and so on). Please include a picture that best represents the creature. The staff has made this a wiki. Need a title, region of origin, picture, and author. Has to be your own idea, ask the original creator if you want to enter their creature. Be descriptive, talk about its origin, habits, historical significance, etc. Make it interesting to read! Do NOT link episodes in here, it’ll simply get too cluttered. Do NOT comment entries. This is a wiki, edit the article. Keep descriptions somewhat brief. 2-3 paragraphs max. This is a wiki list entry, not a natural philosophy text book. Comment what you added or changed in the reply section. I will reserve the right to format, spellcheck, and rearrange the details in this post. Please don’t be offended if I correct grammar or shorten entries that are too wordy. Growing on the deepest areas of the Calledian sea floor, this aquatic bush grows flowers with six sepals and six stamens borne in a terminal raceme. The plant can grow to 15–150 cm in height. It grows in bunches with the leaves wrapped around and extending from a small the base plant itself at the sea floor sediment. The leaves are 30–100 cm long and 2–6 mm wide, dull olive green with toothed edges. The slightly fragrant white flowers emerge from a tall stalk that bolts from the base and give off a strong white light. When the flowers are in bloom they are tightly packed at the tip of the stalk like an upright club. Marubi natives have been recorded to gather the flowers of the bush for ceremonial use. Before its discovery, light from the fire shrubs were often mistaken for divine presence by sailors. Since their classification it is used for navigational purposes in poor wind conditions. The Karri tree is a sturdy plant related to the common pine, however it has developed a most peculiar fruit to appease the local ape population. Karrifruit, the product of the plant, long, thin, maroon flowers around the time when summer comes. After a moon these are replaced by miniscule red spheres, which eventually turn orange once ripe. Karrifruit is harvested diligently by vallenoran farmers. Today it has spread as far east as Lavande and Kaldaross.